Despite how beautiful snowfall can be on a cold winter morning, excessive snow accumulation can spell disaster for your commercial flat roof. During the winter months, it is important for business owners to monitor the level of snow on their flat roofs and safely remove accumulation, in order to protect the integrity of the roof and prevent unnecessary damages. 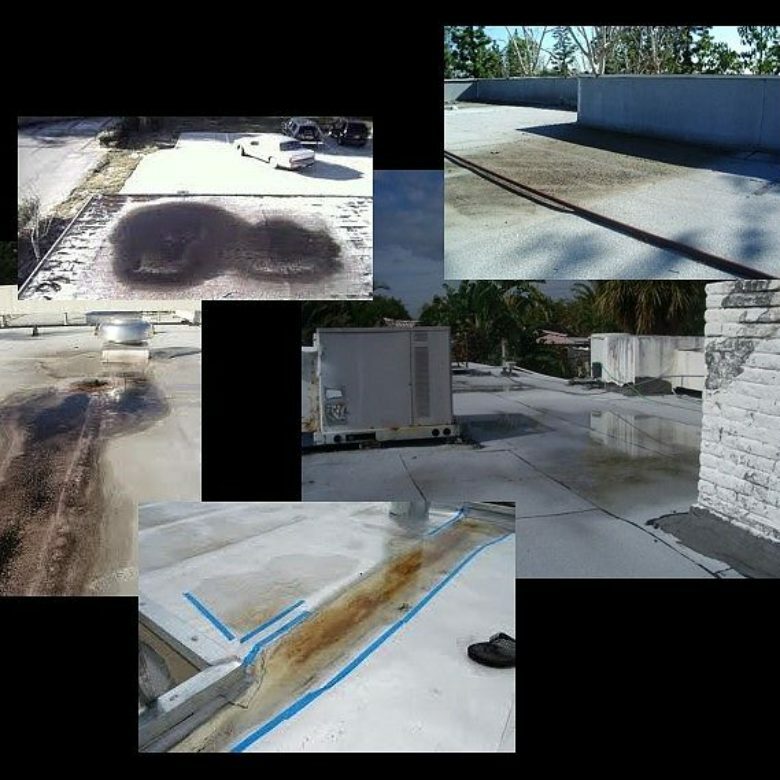 There are 5 keys steps in removing snow from a commercial flat roof. Step 1: When it comes time to begin removing snow from your flat roof, you will first want to assess the surrounding area. Remove any objects from around the perimeter of the building that could be damaged from falling snow and ice. If people will be coming in and out of the building during snow removal, put out caution signs or cones to mark off areas where they should not walk. This will prevent injuries and unnecessary damages. Step 2: Next, you will want to use a shovel to remove as much excess snow as possible. Find a comfortable position on the roof that allows you to maneuver in an easy fashion. Use the shovel to evenly clear the excess, without digging into the roof. This will help protect the membrane and other roofing materials from damage. Step 3: After you have removed the bulk of the accumulation, you will want to use a broom or snow rake to remove any additional snow from the surface of the roof. Make sure to sweep the roof evenly, so no part of the roof is holding more weight than another part. Again, you should avoid digging into the roof; this will prevent unnecessary damage. Step 4: If your roof has snow and ice accumulation, you will want to consider applying a de-icing or melting spray to prevent future build-up. When choosing the right product for your roof, consult with a roofing professional to see which sprays are compatible with your membrane and roofing materials. Step 5: While it is important to clear snow accumulation off the surface of your commercial flat roof, it is also critical to remove snow, ice build-up, and debris from gutters and drain spouts. As the snow begins to melt, it will need to have a clear path to drain off of the roof to prevent ponding and leaks. 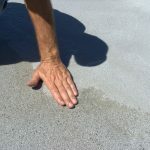 While some moisture will evaporate from your roof, regular snow removal is key in maintaining the integrity and life of your commercial flat roof. Snow accumulation can result in ponding water and bowing. When this happens unnecessary weight is put on the roof, which can result in leaks, damage to the structure, and in worst-case scenarios, total collapse of the roof. 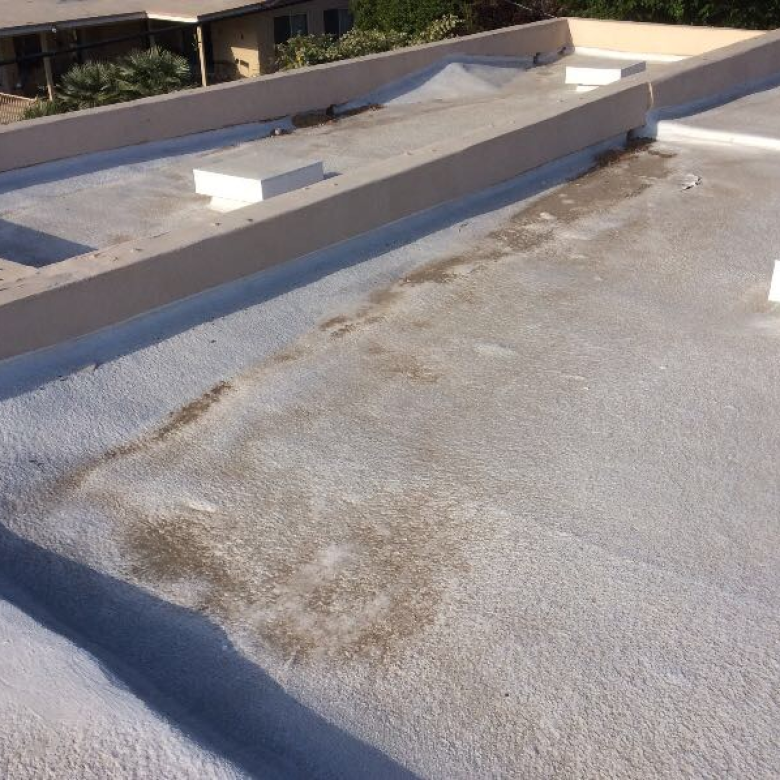 Commercial flat roofs can also experience free-thaw. When this occurs, snow melts on the roof and seeps into cracks and crevices. The water then freezes again, and expands, which can cause severe damage to the roof structure. The only way to prevent these types of damages during the winter, is to regularly remove snow from your flat roof. There are several warning signs to look for during the winter, that will indicate damage to your flat roof. 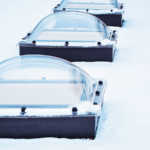 Maintaining your flat roof is especially important during the snowy winter months. To learn more about a way to eliminate ponding water, contact us today!